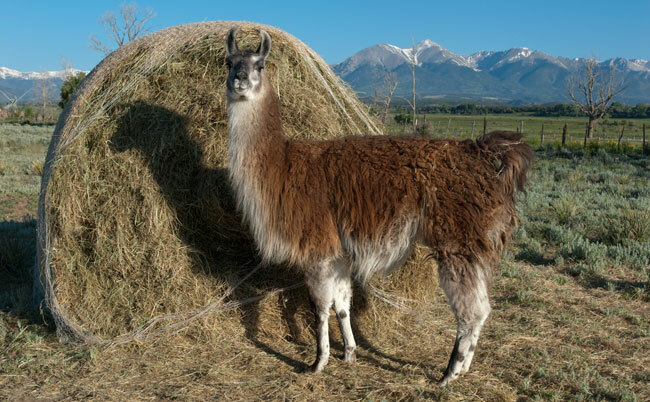 Antero Llamas is located in the upper Arkansas River basin in the central Rockies of Colorado. The Sawatch Mt. Range to the Northwest, and Sangre de Cristo Mt. Range to the South offer some of the best outdoor adventures in the state, and are home to15 Peaks over 14,000 feet in elevation. A visit to the Salida Chamber of Commerce website will provide an extensive list of activities available in the region. Our recommendation for your stay while in the Salida area is the Silver Ridge Lodge. The lodge is just across the road from the famous Salida Hot Springs pools and an easy walk from one of the locals' favorite restaurants. The charming heart of historic downtown Salida, with numerous parks, art gallery's, antique stores, Salida's own micro-brewery, and many fine shops and restaurants, is only a mile away.